A cultural institute functioning under the State Department of Culture. The academy was set up in 1996 to impart training in folk arts and to ensure ongoing efforts in their development, promotion and perpetuation. The academy envisions its main objectives as the identification and categorization of the various folk arts of Kerala and ensuring the growth of its reach and influence on the masses. G. Bhargavan Pillai was the first chairman of the Academy. M.V. Kannan, Dr. M. V. Vishnunamboodiri, Prof B. Mohammed Ahmed, P. K. Kaalan and C. J. Kuttappan were the others who held the post of chair. The incumbent chair is Prof B. Mohammed Ahmed. In the year 2003, the State Government handed over the waterside palace of the Chirakkal kings, at Chirakkal, to the academy to use as their head quarters. The beautiful palace evoking nostalgia for a bygone era was an ideal venue to house the museum that the academy built there. 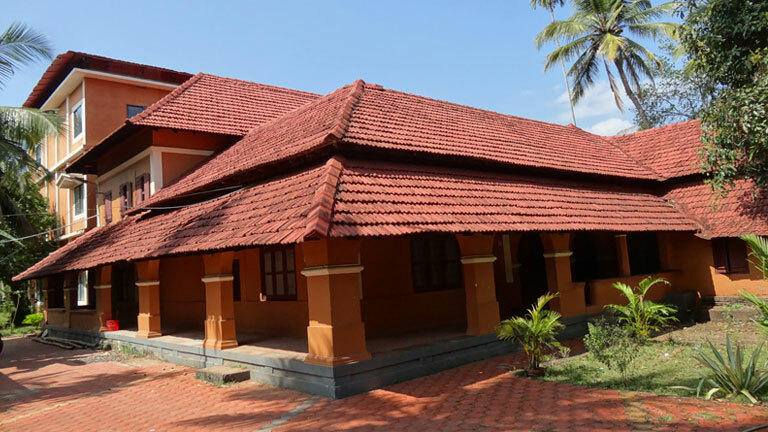 The academy has two sub-centres – one at Vellavoor in Kottayam district known as the Travancore Folklore Village, and the other at Kalpathy in Palakkad district that houses a study and research centre for temple arts and percussion arts, as well as a museum for percussion instruments. The academy brings out a quarterly to promote the study of and research in folklore, and has published more than 25 books on the folklore of Kerala. They have also produced a book about 100 folk art forms of Kerala and two dictionaries, one on Chavittunatakam, a performing art, and another on Byari bhasha (bhasha means language). The academy also awards prizes and fellowships to notable artistes and experts in the field of folklore. In 2008, it instituted the annual P. K. Kalan Prize with a prize money of one lakh rupees to acknowledge an outstanding contribution to the field.